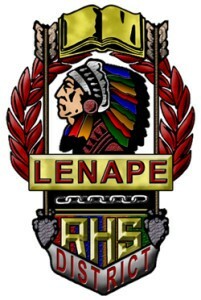 At the most recent Lenape Regional High School District Board of Education meeting, a group of Holy Cross Parents who represented towns from all over the district used the public comment session to voice their opinions regarding busing of the private school students. According to the state Department of Education Office of Student Transportation, all non-public school students who reside in a district that provides transportation to and from school for remote public school students are eligible for transportation or aid in lieu of transportation. The term “remote” means the student lives beyond 2.5 miles from the high school they attend. Many students from the area who attend Holy Cross do not get home until almost 6 p.m. and are often late to school. According to Shine, in the six days of school that Holy Cross has had, students from the Lenape district have been late for three of them due to the busing situation. These buses are picking up Shawnee students and dropping them at home before they go to Holy Cross, and while it is a bit further away, everyone agreed that it is unreasonable to be taking students three hours to get home. The Holy Cross parents were notified the students would be dropped off within 45 minutes at their afternoon stop. “They’re lucky if they’re picked up at the school within 45 minutes of dismissal,” Steve Gravlin of Marlton said. Parents were also notified they will have three “group stops” at which the buses will be picking up and dropping off. These stops require many students to walk down busy roads that oftentimes don’t have sidewalks or even shoulders, so it is a major safety problem — roads such as Taunton and Tuckerton that Shawnee students do not have to cross to get to their bus stops. And while these group stops were intended for the children to be driven to, Shine argues that it is a lot to ask of a parent who also needs to be somewhere at this time in the morning. “Obviously, some of these students are lucky enough to have parents take them, but we can’t depend on these parents who have work to take their kids to school. It really is a hardship,” Shine said. The parents called the Garden State Bus Company who is in charge of this situation and they were told to “deal with it” or “speak to Sean Daly,” according to Shine. Daly is the transportation director at the Burlington County Special Services School District Educational Services Unit, the company LRHSD contracted to be in charge of its bus routes. Neither the parents nor the members of the board have been able to get in touch with him in regard to this problem, they said. Just like all of the parents of public school students, parents of Holy Cross students pay the same taxes in which $884 per student goes toward busing. There are 96 students who are being bused to Holy Cross who reside in the towns covered by the LRHSD. “So that’s $84,000 that the district is getting, yet our students are on the bus until six o’clock, and our students are late for school,” Shine said. Parents advised the board to have the BCSSSD reevaluate their bus routes to accommodate the private school students and be more reasonable. “You have delegated the negotiating rights to BCSSST and they do not cover your responsibility of providing safe and efficient transportation,” Gravlin said. Colleen Zanger of Mount Laurel lives six miles from Holy Cross, and she had her son track his bus ride using an app on his phone. He was on the bus for two hours and five minutes, she said, traveling a total of 42 miles after being picked up at 5:50 a.m. Unfortunately, according to the board, there is not enough money for another bus because of the mandatory cap that is provided by state law. The district receives about $80,000 from the 96 students for bssing, which creates more than what it needs for the current bus routes but not enough for another bus. “While there is a little bit of room there, there is not room for the next bus,” LRHSD Business Administrator and Board Secretary James Hager said. The board alluded to the fact that it seems like the only way to fix this would be to add a third bus, and while that would alleviate most of these issues, the taxes from the 96 students in the district who attend Holy Cross only account for about $4,000 to $6,000 above what the contracted cost is for those two routes. A third would cost roughly $35,000 to $40,000 more for the year, so while the district is receiving more than it needs for two routes, it is not nearly enough for a third. “Non-public transportation is a problem simply because the state has placed an arbitrary limit at $884,” Hager said. Last year, there were three buses, but due to a decline in enrolment for Holy Cross students in the area, the district is only allowed to spend for two this year. This is not uncommon territory for the board, as bus routes are a common problem that many times do not please everyone involved. “The most scrutinized contracts by the DOE are always transportation contracts,” Taylor Ruilova of Comegno Law Group said. While the parents were not looking for everything to be settled at the meeting, they stood by their points and will be hoping for a resolution in the near future. “Really, all we’re asking for is for our students to be considered in the same way that other students have been considered,” Shine said.